COWIN EXTRUSION just finished PLAST EURASIA in Istanbul. During the exhibition, a lot of customer pay too much attention to COWIN. 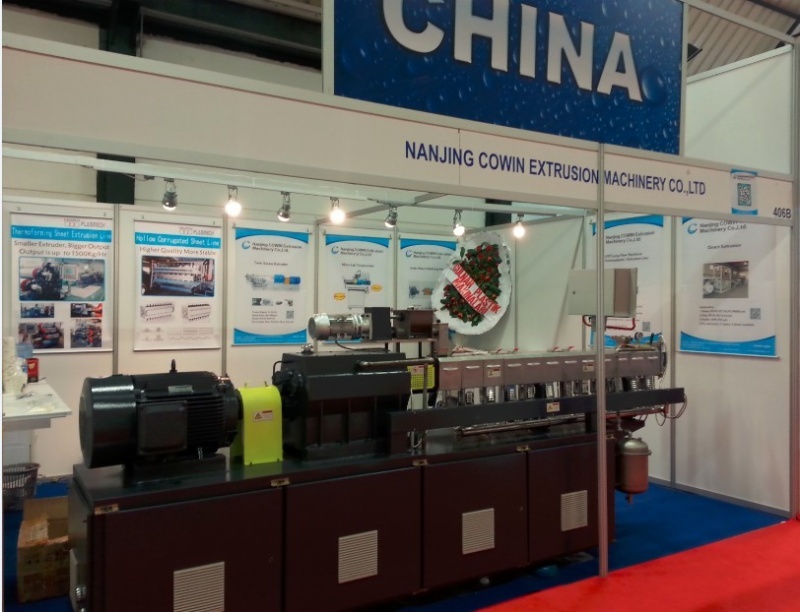 They are quite impressive on COWIN's high quality machine, like twin screw extruder, single screw extruder, LFRT extrusion line, under water pelletizing line as well as sheet/board/film extrusion line. And have got a lot inquiries from local and foregin customers. What's more, COWIN has finalized a agency agreement with local manufacturer. This agent will provide local technical service for all customers. So local customer can have a fast and professional response for their machines ordered from COWIN EXTRUSION.